Low back pain, the scourge of mankind: it is the second leading cause of disability here in the United States, and the fourth worldwide. It’s also one of the top five medical problems for which people see doctors. Almost every day that I see patients, I see someone with back pain. It’s one of the top reasons for lost wages due to missed work, as well as for healthcare dollars spent, hence, a very expensive problem. Let’s talk about the most common forms of back pain: acute (which lasts less than four weeks) and subacute (which lasts four to 12 weeks). Most of these cases (approximately 85%) are due to harmless causes. We lump them into the “mechanical back pain” diagnosis, which includes muscle spasm, ligament strain, and arthritis. A handful (3% to 4%) will be due to potentially more serious causes such as herniated discs (“bulging” discs), spondylolisthesis (“slipped” discs), a compression fracture of the vertebra due to osteoporosis (collapsed bone due to bone thinning), or spinal stenosis (squeezing of the spinal cord due to arthritis). Rarely, less than 1% of the time, we will see pain due to inflammation (such as ankylosing spondylitis), cancer (usually metastases), or infection. When someone with acute low back pain comes into the office, my main job is to rule out one of these potentially more serious conditions through my interview and exam. It is only when we suspect a cause other than “mechanical” that we will then order imaging or labs, and then things can go in a different direction. But most of the time, we’re dealing with a relatively benign and yet really painful, disabling, and expensive condition. How do we treat this? The sheer number of treatments is dizzying, but truly effective treatment options are few. 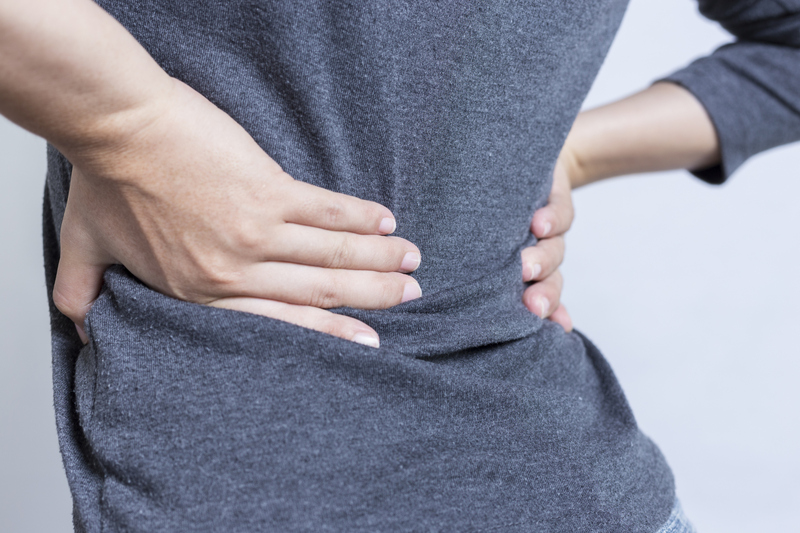 The American College of Physicians (ACP), the second-largest physician group in the U.S., recently updated guidelines for the management of low back pain. Its physician researchers combed through hundreds of published studies of non-interventional treatments of back pain, and analyzed the data. Treatments included medicines such as acetaminophen, nonsteroidal anti-inflammatory drugs (NSAIDs) such as ibuprofen and naproxen), opioids (such as oxycodone), muscle relaxants, benzodiazepines (such as lorazepam and diazepam), antidepressants (like fluoxetine or nortriptyline), anti-seizure medications (like Neurontin), and systemic corticosteroids (like prednisone). The analysis also included studies on non-drug treatments including acupuncture, mindfulness-based stress reduction, tai chi, yoga, motor control exercise (working the muscles that support and control the spine), progressive relaxation, biofeedback, low-level laser therapy, behavior based therapies, or spinal manipulation for low back pain. That’s a lot of therapies! Researchers were interested in studies that measured the effectiveness (usually measured as pain relief and physical functioning) as well as the harms of all these therapies. Because most mechanical back pain improves no matter what, we don’t want to prescribe treatment that can cause harm. Because some medications carry significant risks, we really shouldn’t be recommending these right off the bat. Rather, we should be providing guidance on heating pad or hot water bottle use, and recommendations or referrals to acupuncturists, massage therapists, and chiropractors. These therapies were somewhat effective, and are very unlikely to cause harm. Medicines like ibuprofen and naproxen can be helpful, but they can cause stomach inflammation and ulcers, as well as possible bleeding, and even kidney damage, especially in the elderly. Muscle relaxants can be sedating, and can interact with other common medications. Benzodiazepines and opiates not only can cause sedation, making it hard to think clearly and function normally, they are also addictive. Basically, for acute and subacute low back pain, the risks of these medications outweigh the benefits. Other medications, like acetaminophen, steroids, antidepressants, and anti-seizure medications, were not significantly helpful for acute and subacute low back pain at all. The study was missing a few potentially helpful low-risk medicines. Topicals such as the lidocaine patch or capsaicin ointment were not included, which is a shame, as these can provide relief for some people, and carry little risk. I would also be interested to know if over-the-counter topical therapies containing menthol and camphor are better than placebo for low back pain. Suggestions for the future research, and the next update! I plan to write about chronic low back pain (and chronic pain in general) in a future post, because there was a guideline update for that specific issue as well. Global, regional, and national disability-adjusted life-years (DALYs) for 315 diseases and injuries and healthy life expectancy (HALE), 1990–2015: a systematic analysis for the Global Burden of Disease Study 2015, The Lancet, October 2016. Hing E, Rui P, Palso K. National Ambulatory Care Medical Survey 2013: State and National Summary Tables. Primary Care Office Insight at the Massachusetts General Hospital: Authors: Angela M. Freniere, MD and Shana Birnbaum, MD. MGH Primary Care Operations Improvement. 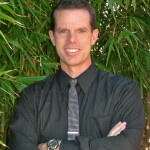 Specialty Reviewer: Steven J. Atlas, MD, MPH. Atlas SJ, Deyo RA. Evaluating and managing acute low back pain in the primary care setting. Journal of General Internal Medicine, February 2001. Atlas SJ, Nardin RA. Evaluation and treatment of low back pain: an evidence-based approach to clinical care. Muscle & Nerve. January13, 2003. Chou R, Deyo R, Friedly J, et al. Noninvasive Treatments for Low Back Pain [Internet]. Rockville (MD): Agency for Healthcare Research and Quality (US), 2016. Qaseem, A, Wilt, T, McLean, R, Forciea, MA, for the Clinical Guidelines Committee of the American College of Physicians, Noninvasive Treatments for Acute, Subacute, and Chronic Low Back Pain: A Clinical Practice Guideline From the American College of Physicians. Annals of Internal Medicine, February 14, 2017. Thanks for the informative article with supporting references. But, I have both herniated and slipped disc (~1/4th of the horizontal length). It was diagnosed 15 yrs ago and I have suffered only 3-4 times since then each lasting about 1 week. I just lied down or rested as my doctor advised. However, last one (about 2 months ago) lasted almost 3 weeks and really disrupted my work. Any similar article(s) for my case? I receive often conflicting advice regarding the exercise. Now I’m fine but want to do whatever to prevent yet another pain. PS: I’m a professor of engineering and spend much time in front of my computer. I am a manager and last year one of my employees ‘hurt his back’ at work lifting an object. He went to the doctor and had several rounds of imaging done on his low back, but nothing identified the root cause of his pain, and he was resigned to having injections in his hip for the rest of his life. A new doctor recently ordered an additional MRI of his hip, and they finally realized he has a 1″ tear in his labrum. 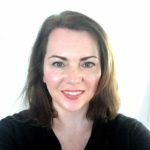 My low back pain was directly related to undiagnosed endometriosis, and took two decades to diagnose. In cases like these the doctors have to cast a wide net and look at all the interrelated areas to find the causative elements. Otherwise so diagnosis and resolution take longer than they should, leaving patients with nothing but ineffective pain medications. An article on leg pain and how that it is an important indicator for serious issues is also welcomed. Also things like endometriosis and the effect it can have on the body. I use lidocaine patches and it does help. Have chronic aching, have had spine debris cleaned and fused. Had excruciating pain constantly in right leg, that type of pain was gone afterwards. Now that right thigh is constantly sore and tight muscles. Pain in sciatic joint and the sharpest pain in right groin. Been in physical therapy for years, it helps the tight muscles and keeps me limber. The pain patch lidocaine help ease the joint. Have had shots for pain, which is painful, and did not work for me. But, doctor is going to repeat the injection in hip in hopes to locate the area that is causing the pain now. We are trying these cortisone types to prolong having surgery again at this stage in my life. I am sorry to hear how much pain you’ve had and I hope things improve for you. Recurring bouts of intense low-back pain drove me to take up resistance training in my late ’30’s. Among other things I focused on strengthening my core. This helped immensely; from time to time I would still “tweak” my back, usually from something as trivial as sitting in a chair without proper support. In my late ’60’s and now early ’70’s, I have upped my game with heavy ab work (crunch machine and planks with weight plates on my back) and also heavy work on the “Roman chair.” I can still experience back pain, usually from some minor event, but right away use Robax platinum for a day or two, and I carry on with my normal routine which includes weight lifting and leading fitness classes. I haven’t visited a chiropractor in about 10 years. Yes, I often recommend core strengthening as a healthy way to “scare” aware bouts of back pain. Thanks for sharing your success story. I had bouts of low back pain throughout my adult life,up until a few years ago(I am 67). While yoga was helpful(I have practiced since my teens,and even taught),with my long,lean body and farming lifestyle,it was not enough. I needed more core strength. I have been doing a variety of core exercizes since my early 60s,and no longer get severe back pain. When I do get some minor pain,it goes away quickly. I have also found walking to be very beneficial. Totally agree, core strengthening is a wonderful preventive! Thanks for a very interesting article. I suffered with excruciating back pain for over month. I had 2 MRI scans and was referred to an orthopaedic surgeon and a neurologist. The diagnosis which was confirmed by an ultrasound scan turned out to be two inguinal hernias pressing on nerves. The operation to repair the hernias cured the pain. How unusual is this as a cause for severe back pain? And which would be the best referral in such a case? Very interesting case! I have never seen or heard of this. I am glad that you are pain-free. Very useful and research-based article. You should consider including leg pain, leg muscle weakness, numbness or tingling as a sign of a potentially more serious cause requiring earlier physician intervention and imaging. Yes, definitely things that we ask about during an evaluation. Thank you for the article, Dr. Tello! Yes, yoga as a practice has been well-studied and is a good option for just about everything. Did ACP consider physical therapy? I pasted the list of all the non-pharmacologic therapies that had been studied and that they re-analyzed below. Physical therapy for treatment of acute pain wasn’t included. My hypothesis as to why that was: It can be difficult for patients to fully participate in a PT eval or program when they are in alot of pain. Often, we recommend PT for prevention of the next exacerbation, after pain is under control. Perhaps that’s why it hasn’t been included here. On the other hand, I see exercise, motor control, and multidisciplinary rehab on there, so it’s not entirely clear to me what “PT” in and of itself isn’t on the list. Nice post Dr. Tello! Thank you for getting us aware of back pain causes and its healthy tips. Thanks, hope it’s a helpful review. In the UK NHS funded gold standard randomised trials has proven the Alexander Technique to be clinically effective for back pain, and yet it still doesn’t get the credit and exposure it deserves. Thanks Monique for sharing such an informational blog. I am a writerand blogger always encircled with acute back pain. Most of them complain and take medications to get ease of back pain. I usually do not take medications as you rightly said it heels but it has side effects. I preferably overcome with lying on your back with flat feet on the floor and make your knees bent. You can use your hands to pull your right knee to your chest and then left knee to your chest simultaneously. It will surely eradicate your back pain. Yes, stretching can be beneficial for some people. Thanks for sharing! 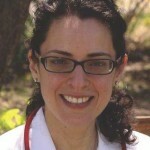 @Monique Tello, MD, MPH, Contributing Editor. I am a patient w/familial Hx of Osteophorisis, CAD, post MI, 2 stents @ UAB Bham, AL (my home before retirement😉) MVP w/marked Disautonomia. I am not a candidate for Rx you outlined, i.e., ibuprofen GI blues (PUD w/perforations) Clonazapam, opioids, etc., a nightmare of a ride over 10+ yrs. I experience T-spine to lumbar Q wk. that is debilitating, unchecked, everything imaginable from cluster migraines ++. I keep RX: Lidoderm 5% patches as PRN, rarely applied. FYI; OTC: Capsaicin patches, creams, not effective. PO cayenne caps more effective, till GI Blues again. Menthol > 5% content blisters, etc. The most effective OTC topical pain rx relief I personally have found may surprise you. Zim’s MAX Freeze roll-on (Sig: up to QID only) for convenience in a hurry to treat & finish task at hand…the real surprize 🎁🎉 😉 being Two Old Goats Essential Oil Lotion! 😂🤣😂 Halton, TX 1-866-324-3787. I sincerely hope the time I have spent typing w/1 sore thumb (Siri does not speak Native Alabamian YET 😳😉) on iPhone is beneficial in your research. Thank you for an insightful article. Hi, I’m from Lima, Perú. I have severe back pain and according to radiographies the cartilage between the dorsal and lumbar vertebra are almost gone. The pain is mainly when I wake up and lasts 5 to 10 minutes and then goes away. I used to do skydiving and still do sea diving and play soccer and can do these activities pretty well. For sometime I was taking Chondroitin/glucosamine/MSM. Do I have to get along and be partner with the pain, is there something I can do to lower it or make it disappear, is surgery the only way out?? ?